There are many grand beautiful things beyond my vision. I know this because Jesus speaks to his disciples about it in John 16:12. In my enthusiasm to jump ahead and see the great vistas of heaven, I often overlook the vital lessons of today. Things I consider boring and unnecessary (love, patience, perseverance, self-control, generosity, long suffering, gentleness), yet Christ, in his wisdom, knows how vital they are to my well being. They are so important that to jump ahead would cause a spiritual nearsightedness, and I would hamper my ability to see the full glory of heaven. This picture of the forest shrouded in fog, reminds me to drink in fully the beauty of what God gives me today, so that I might fully appreciate all that he has for me tomorrow. 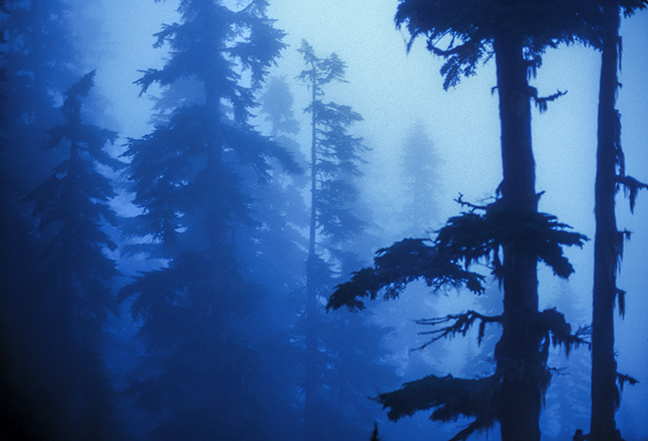 This entry was posted in Photography and tagged clouds, devotional, fog, forest, John 16:12 by Stephen Hufman. Bookmark the permalink.